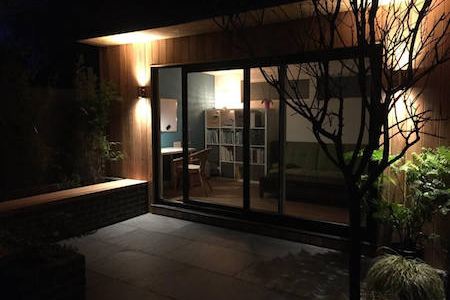 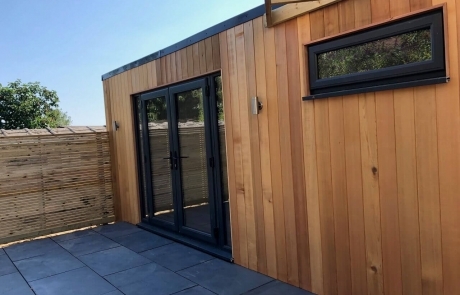 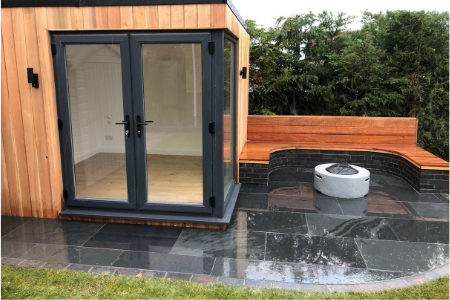 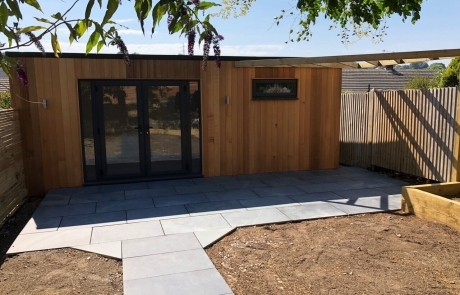 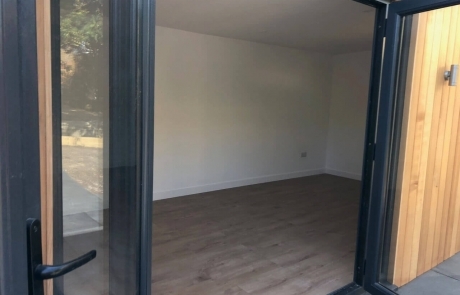 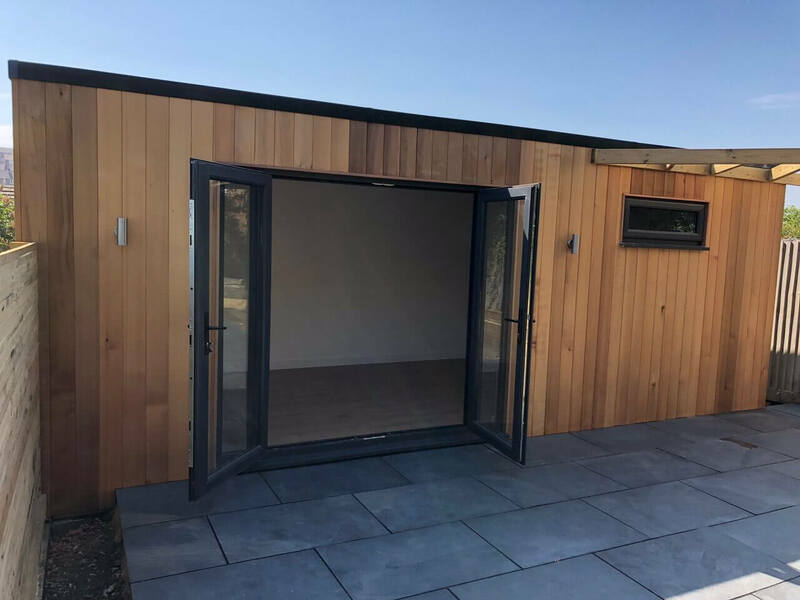 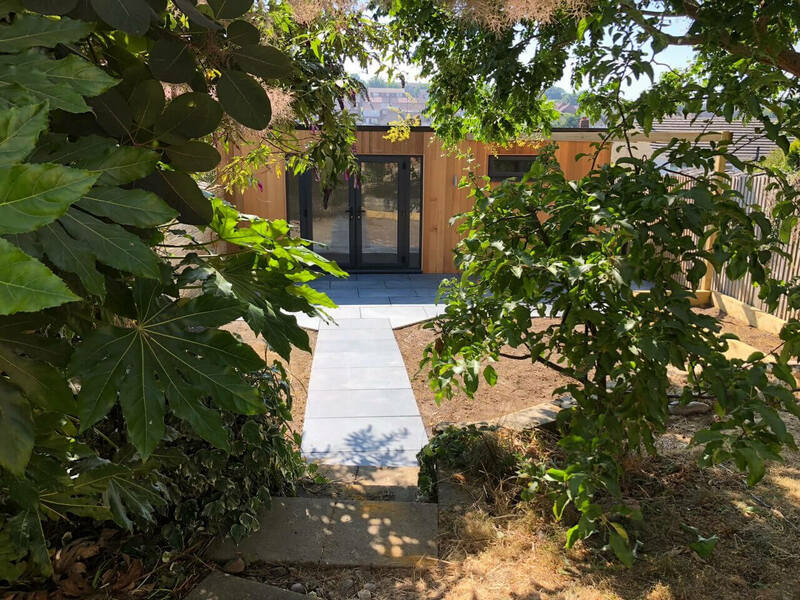 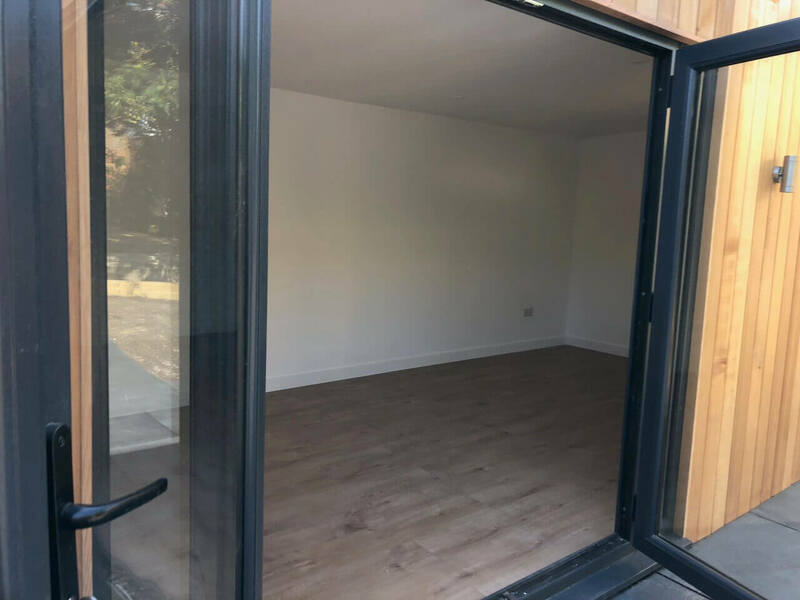 Jon and Sophie wanted us to build them a large studio, and to landscape their garden in Portslade. 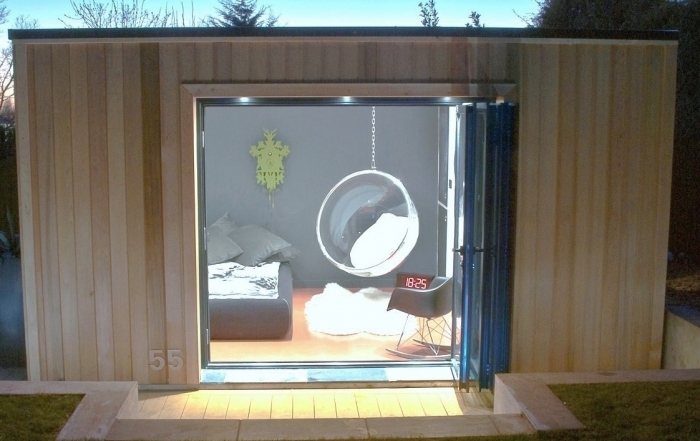 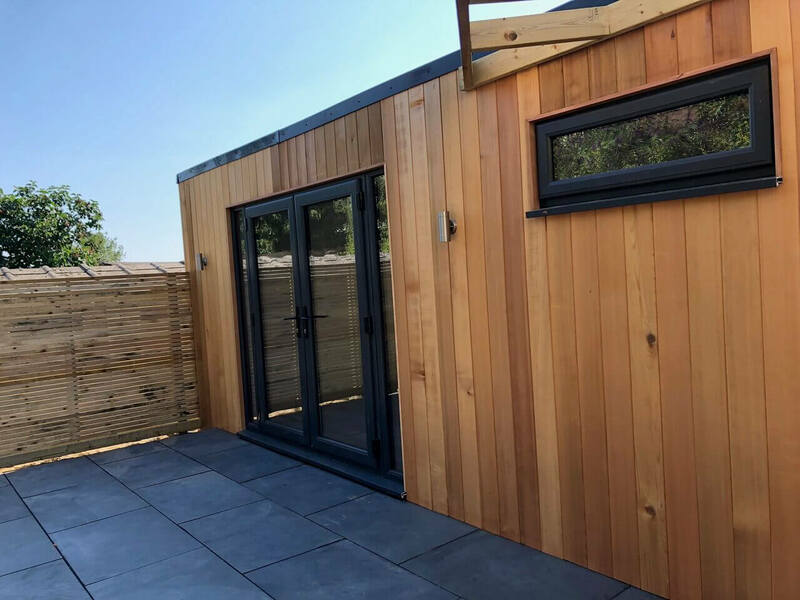 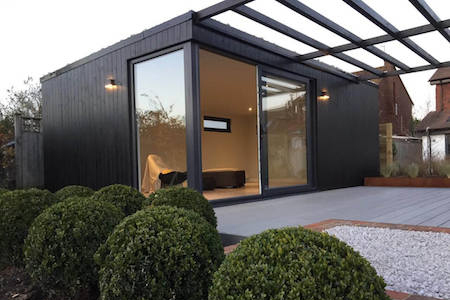 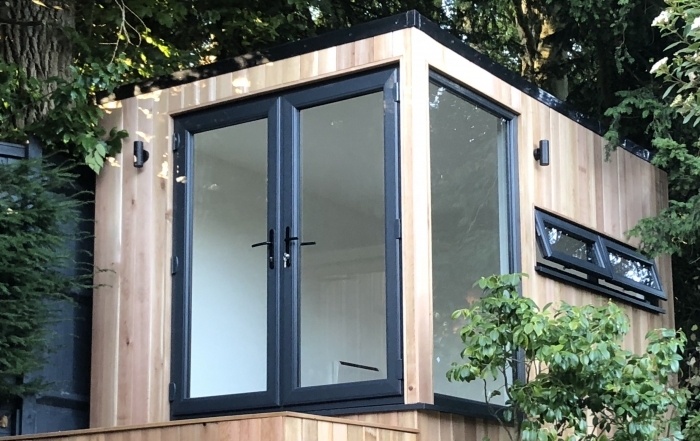 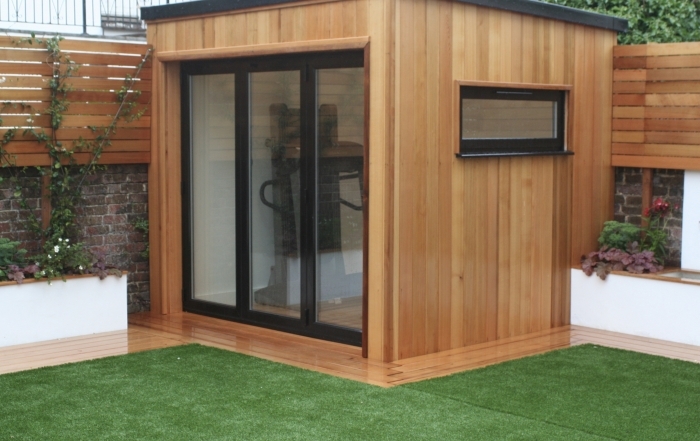 They decided upon the Astana design with dark grey French doors and Western red cedar cladding. 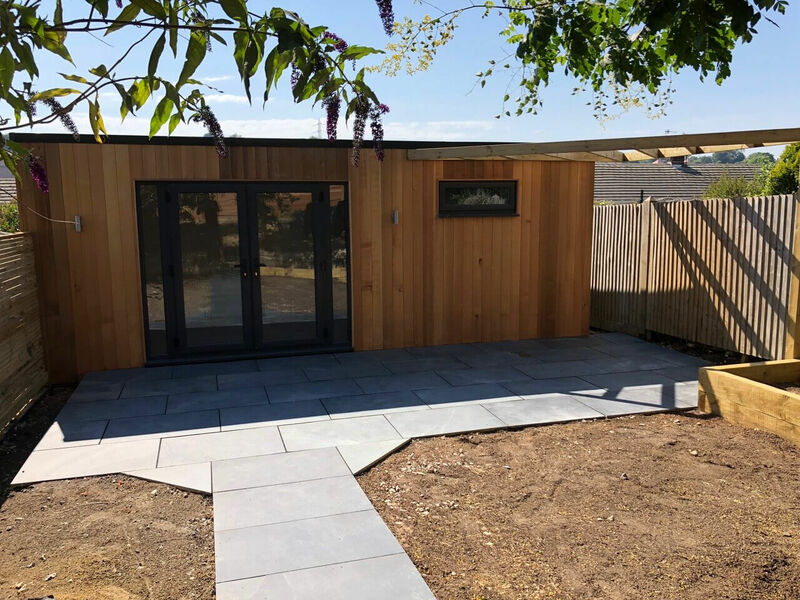 The large garden room (6.7m x 3.1m) stretches across the whole width of the garden, and we created a 3m patio with a triangular pergola. 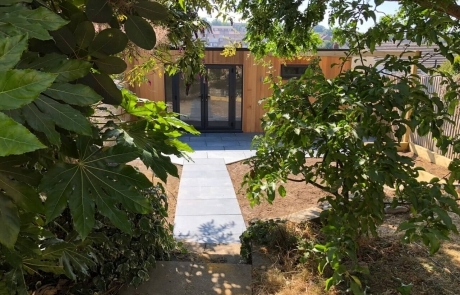 In front of the patio is a raised vegetable patch, lawn area and path to existing steps. 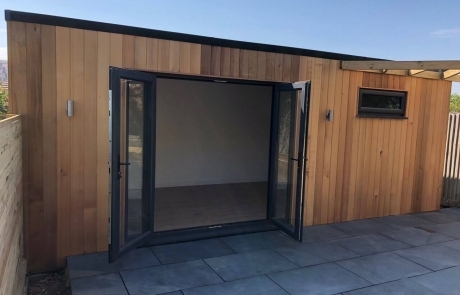 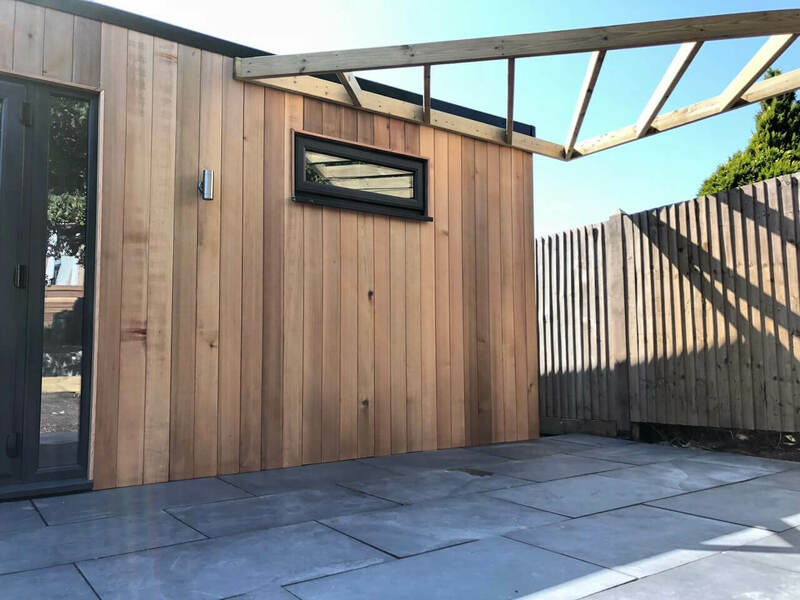 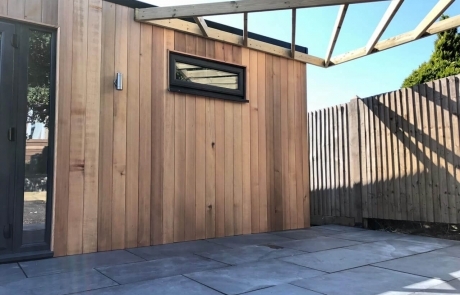 We then built a raised decking area outside the house with storage underneath made from Balau hardwood to complement the studio cladding.